Getting to know hummingbird habitat can help you to better understand these living jewels. Hummingbirds depend on the landscape to provide them with everything for their daily needs, including food, shelter, mates, nesting material and shelter. So, where are hummingbirds found? Hummingbirds are found from as far North as Alaska, to as far South as the Tierra Del Fuego in far southern Argentina. They are also found on a variety of islands in Caribbean. This diverse group includes between 325 and 340 species, many of which fill unique ecological roles. 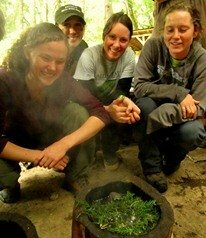 So what is the key to good hummingbird habitat? 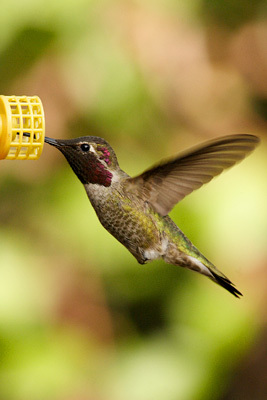 Hummingbirds relay largely for nectar as a source of nutrients. Flowers, therefore, are of vital importance to them. Many flowers produce nectar as a source to draw in potential pollinators, and hummingbirds appreciate having a variety of flowers from which to feed. 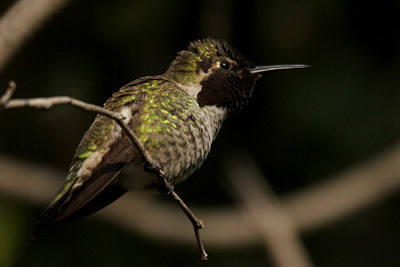 Their long bills are specially adapted to help them reach deeply into flowers to access this nectar, and some species of hummingbirds have very uniquely shaped bills to fit specific types of flowers. 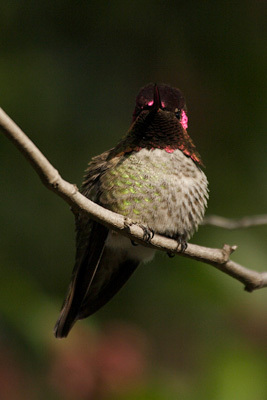 Hummingbirds also consume insects and spiders. A few species of hummingbirds will also feed on sap from the wells created by sapsucker woodpeckers, especially when the hummingbirds arrive in early spring to far northerly locations where few flowers have opened. Hummingbirds live in many types of landscapes, including temperate woodlands, mountain meadows, cloud forests, tropical rainforests, and deserts. Hummingbird habitats consistently include an abundance of flowers, which more recently can be found in many urban and suburban gardens throughout the USA. 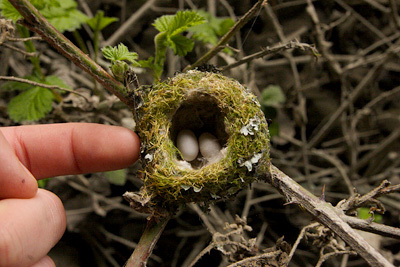 Shelter is also extremely important to hummingbirds, especially for nesting and for night-time resting. Hummingbirds walk a fine line because of their extremely high metabolism, so they have only enough energy stored to get them through a night. They live always only a few hours away from starvation and must eat very frequently. At night, hummingbirds go into a state of rest called "torpor." Torpor is a hibernation-like state, in which the bodies of animals experience a significant drop of metabolism. Without this state, hummingbirds would not survive a night without feeding. As increased urbanization, habitat alteration and habitat loss continue throughout the Americas, many hummingbirds are in decline. Some hummingbirds are able to adapt well to gardens, given the right conditions. Get to know what hummingbird species are native to your area, learn what kinds of plants they rely upon and put some feeders up as well. Don't use pesticides or herbicides in your gardens, as they both kill the insects and spiders that hummingbirds feed on as well as poisoning the hummingbirds themselves. It really helps to have some native, hummingbird attracting plants included in your garden along with other non-native flowering plants. Remember that some plant species such as Trumpet Creeper (Campsis radicans) and Butterflybush (Buddleia davidii) have a tendency to be invasive in some areas. Be careful when introducing plants to your garden that are not native, and ask your local nursery about how to best contain them. Another way to help is to preserve the hummingbird habitat that already exists in neighborhood or near where you live. The more quality habitat that exists out there, the more healthy hummingbirds there will be and the more everyone can enjoy seeing them.